Flight delays. Booking or check-in problems. Regional, cultural and linguistic differences. 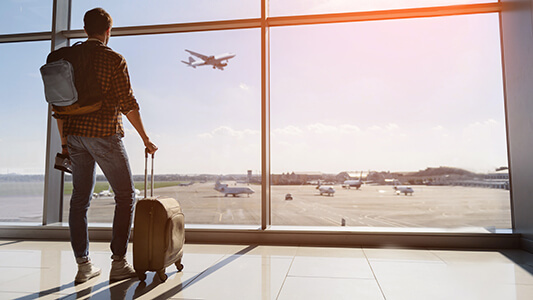 The travel and hospitality business can be a perfect storm for contact centers offering both added challenges and unique opportunities. Leonardo Inghilleri, president and founder of Inghilleri Consultants Group and the author of Exceptional Service, Exceptional Profit, believes that great service delivery comes down to managing expectations right from the start. “What do you expect from a call center? You expect people with excellent communication skills, you expect people who speak your language and understand the cultural nuances of you as a customer, you expect people who remember your preferences,” he says. By experiencing the destination and facilities themselves, customer service representatives are able to build a personal knowledge base that translates to better customer service. “It’s great when you’re talking to someone who can say ‘I’ve been there,'” said Brendan Dykes, the director of strategic marketing for Genesys, a customer engagement and relationship management provider. Many hotel and airline providers, including The Four Seasons and Hilton, accomplish this by offering significantly discounted rates for employees. Another way to build a stronger connection with the customer is through affinity routing, or matching customers with agents who have similar interests. Dykes says some brands have begun experimenting with affinity routing as an option when employee travel is not plausible. For example, a customer planning a golf trip would likely prefer to speak with a customer service agent who follows the sport, even if they haven’t been to the destination in question. “You’d want advisers who have some understanding of the game of golf — not in that country necessarily, but in terms of what’s going on in the sport,” he says. Localizing the experience for customers doesn’t have to be a complicated endeavor.